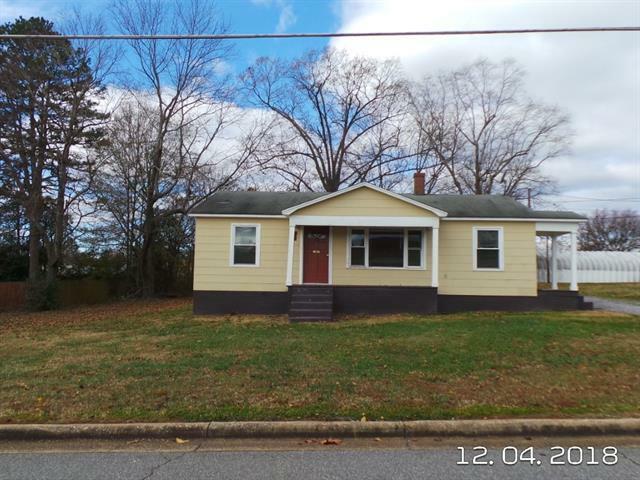 Great starter home with three bedrooms, one full bath. Kitchen has been updated with new cabinets and counter- tops. Range and Refrigerator remain. All new windows. Living Room with hardwood flooring. All three bedrooms have hardwoods. One bedroom doesn't have a closet. Gas Furnace. Level yard. Outbuilding remains. Property is being sold in "AS IS" condition. No repairs will be made. Sold by Keller Williams Realty Mooresville/Lake Norman.